VANCOUVER, BC – Bomber Brewing has announced the release of a new beer with a name inspired by the lead singer of a legendary Vancouver power pop band. Superpest Double IPA takes its moniker from the nickname of Craig Northey, founding member and vocalist of Odds, and a hockey teammate of some of the Bomber crew. To mark the release of Superpest Double IPA, Bomber will be holding a backyard concert and BBQ with Odds and I, Braineater on Thursday, June 5th from 5:00 to 10:00 PM. For tickets and more information, see the Eventbrite listing. 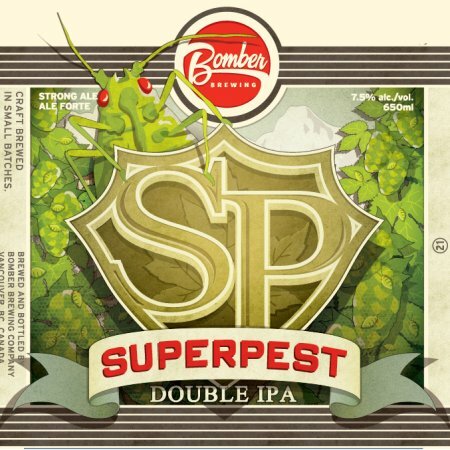 Superpest Double IPA is available now in kegs, 650 ml bottles, and on tap in the Bomber Brewing tasting room.